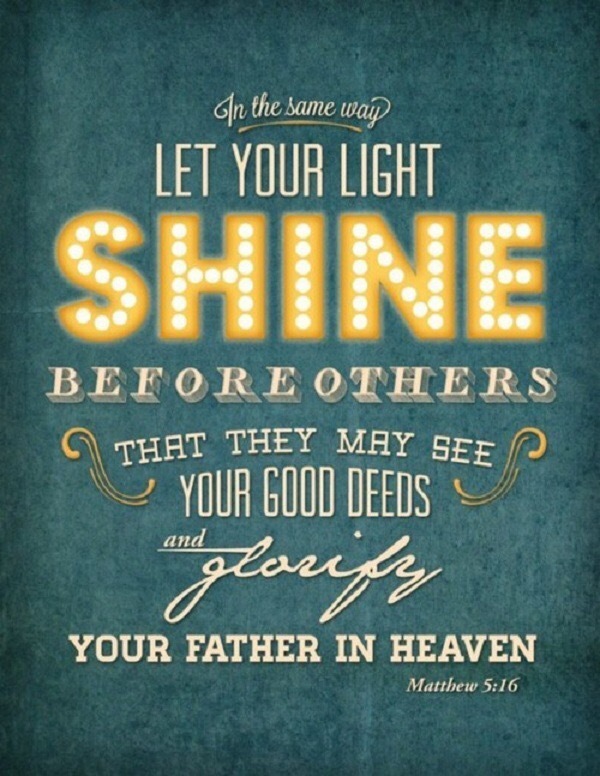 Opportunities to shine your light may look different than you think the they do. They come when you are grumpy and tired. They come when you’ve spent your energy and are done. I know you can do pretty well with expected opportunities to shine. You can plan and prepare. Maybe practice a bit in your mind, you know, go through the situation a few times mentally. But the very best opportunities to shine are not in your plans. They are inconvenient. They come with people who are demanding and immature. They come from people who have already spent the allotted amount of patience you have for them. I know that the word humble can be a hard one to grasp but it has nothing to do with being humiliated. Being humble is a security of self that is forged by your salvation. It is knowing who you are in Christ as well as knowing who Chist is in you: He is Savior, forgiver, redeemer, creator, all powerful God. He is your guide, your strength, your hope and your peace. He is the great I AM and is unlimited in power and reach. He is the light of the world. Being gentle means that you have unclinched your hands from steering the direction of your life and have let Jesus take the wheel. This is not about the big things but the little ones: the unexpected phone calls, the interruptions that add or postpone your to-do list, the change of plans because some people are unorganized. These are the moments Jesus shines through you. So shine bright, my freind, this dark world needs you to.